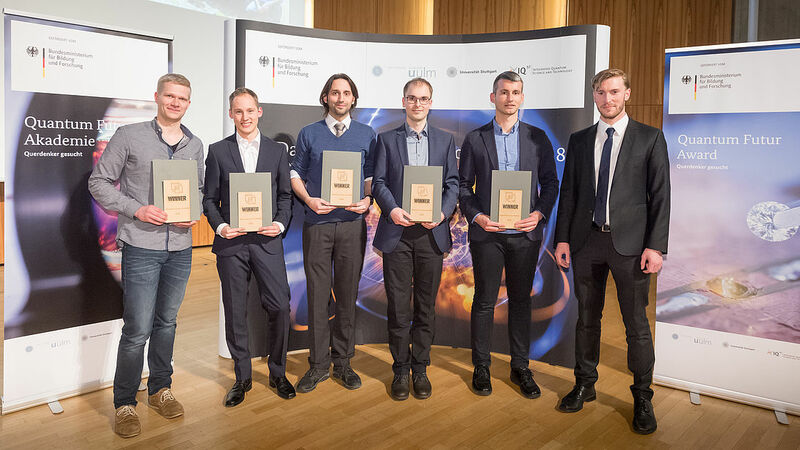 Dr Daniel Riedel was awarded the Quantum Future Award from the Federal Ministry of Education and Research in Germany (BMBF) and the Center for Integrated Quantum Science and Technology (IQST). Daniel, who completed his doctoral thesis at the SNI PhD School in December 2017, won second prize in the “dissertations” category. Daniel Riedel’s doctoral research focused on optimizing the useful photon yield of single NV centers, as this is the largest hurdle for technological applications of NV centers. NV centers have huge potential in quantum information technology. More information about the Quantum Futur Award.